Timothy F. Leary and Richard Alpert continued to influence Harvard for years to come, sparking debates on the role of psychedelics on campus and helping to bring 1960s drug culture to the forefront of national consciousness. 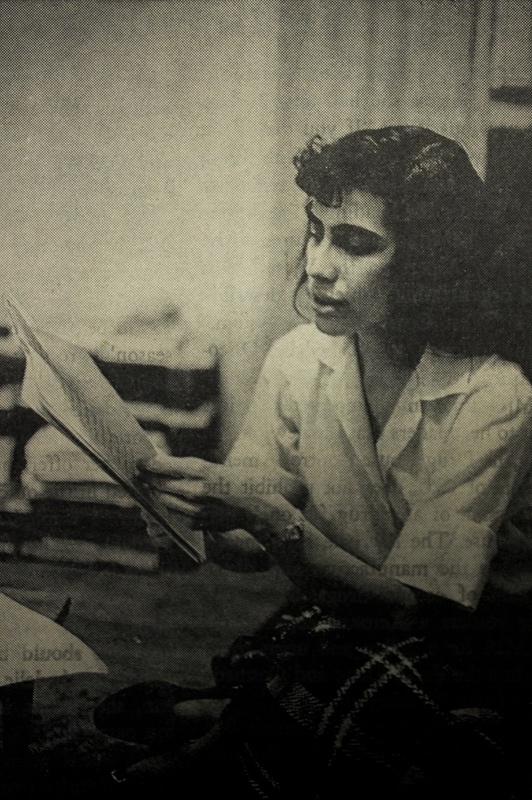 In the article, titled “Local LSD PR-Girl Tells How to Make (And Take) Those Little Sugar Cubes,” Bieberman explains how she had lost interest in finding that experience until one day, while perusing the Crimson, she stumbled across the work of two Harvard figures: psychology professor Richard Alpert and instructor Timothy F. Leary. In a series of trials between 1960 and 1962, through the Harvard Psilocybin Project, Leary and Alpert—now known as Ram Dass—administered psychedelics, among them LSD, psilocybin, and mescaline, to students with the intent of understanding their effects on people. Bieberman, an honors graduate from Radcliffe with a degree in mathematics and philosophy, became, what one article described as, a “disciple of Timothy Leary.” Describing her experience with the psychedelic drugs, Bieberman spoke in spiritual terms. 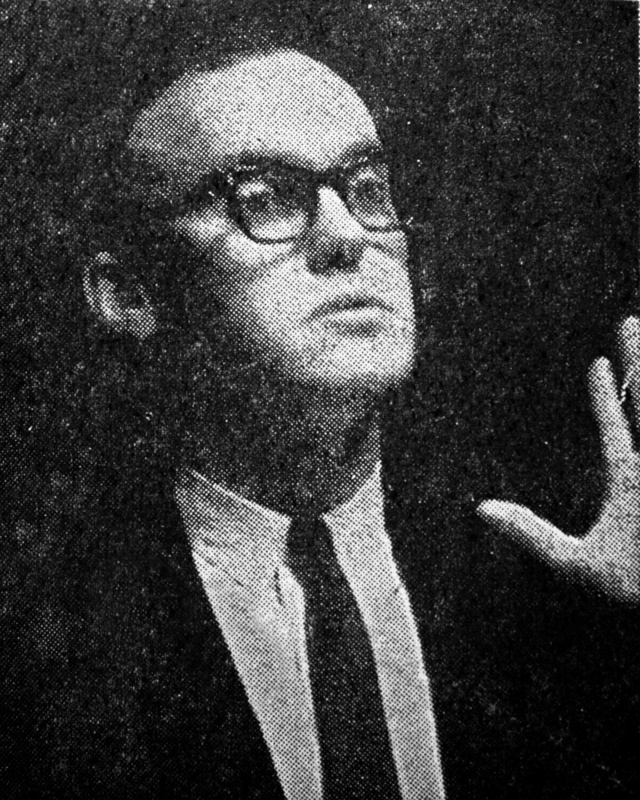 Richard Alpert in the May 28, 1963 issue of The Harvard Crimson following the Harvard Corporation’s decision to terminate his appointment. By 1963, Leary and Alpert no longer had ties to the University; Leary’s contract expired after he abdicated his teaching responsibilities, while Alpert was dismissed for breaking an agreement not to give drugs to undergraduates. Even though the trials ended when the duo left Cambridge, Leary and Alpert continued to influence Harvard for years to come, sparking debates on the role of psychedelics on campus and helping to bring 1960s drug culture to the forefront of national consciousness. One night, Allan Y. Cohen ’61 found himself in the backseat of a car driving back to campus from Boston. At the wheel of the Volvo sat a professor from the Harvard Business School. Suddenly, the professor, in the midst of a psychedelic flashback, took one hand off the steering wheel and began shaking his arm like a whip. For Cohen, who participated in the trials and worked with Leary and Alpert as a graduate student, scenes of this kind were not uncommon. The experiments were informal and, by modern standards, unscientific in nature. There was often no control group and those administering the experiment would sometimes take the drugs along with the subjects in order to better empathize. “I don't think you can make a case that he was doing really important science, in part because [Leary] decided that these drugs were bigger than Harvard, bigger than science and that everyone should try them,” Michael Pollan, a fellow at the Radcliffe Institute studying the history of psychedelics, said. Student and follower of Timothy F. Leary, Lisa Bieberman ’63 helped organize a public protest against the firing of Alpert. One of the most famous trials was dubbed the “Good Friday Experiment.” Ten Divinity School students were given psilocybin and another 10 students were given a placebo before Good Friday services in order to see if the drugs could facilitate a mystical or spiritual experience. Controversy arose within the department, where two camps emerged: those who took psychedelics or supported the trials, and those who did neither. Psychology professor Herbert C. Kelman circulated a letter and called for a meeting to emphasize that the trials were voluntary. Leary left the school in 1962, after he failed to fulfill his teaching obligations one semester, electing to travel instead. Harvard did not renew his contract. Alpert was fired in 1963, after he gave drugs to undergraduates, breaking his and Leary’s agreement with Harvard to refrain from doing so. Following Alpert’s firing, a group of students, including Bieberman, organized a public protest against the dismissal. In letter to the University, the group wrote that Harvard’s “timidity [was] unworthy of a university which claims to encourage free inquiry and exploration,” adding that administrators “reacted with undue alarm to the widespread public controversy” over the drugs. The duo leaving Harvard, along with the national coverage of the trials, helped to make Leary and Alpert—and psychedelics, by extension—known in households around the country. In October of 1966, years after leaving Harvard, Leary was arrested in New York for violating a narcotics regulation. According to an article at the time, Leary told reporters that a “majority of Harvard students use LSD.” While the claim is unsubstantiated, anecdotes indicate that some students did indeed take LSD regularly. In a 1966 article, titled “Drug-Users at Harvard Explain their Views About Pot and LSD,” a Crimson reporter surveyed 45 anonymous students, all sophomores and juniors between 18 and 20 years old, on their experiences with marijuana and LSD. Just a year later, another Crimson article posited that when it came to LSD use at Harvard, “five per cent is a figure that nearly everyone agree[d] on.” The article speculated that drugs were more accessible in the Yard than they had been in the past. In response to this increase in drug culture, Harvard University Health Services released a statement warning students against using LSD and other drugs. Still, psychedelics, introduced to Harvard by Leary and Alpert, remained present on campus through the 1960s. Bieberman had a response to the stream of warnings from the Director of HUHS. “He only mentions the cases that turn out badly, and does not mention cases in which psychedelics can be used constructively,” she said. —Staff writer Nathaniel J. Hiatt can be reached at nathaniel.hiatt@thecrimson.com. Follow him on Twitter @nathaniel_hiatt.